An exclusive limited edition print by British artist Grace A Williams, produced by The New Art Gallery Walsall on the occasion of the exhibition Intermission, 2018. All sales support the Gallery programme. 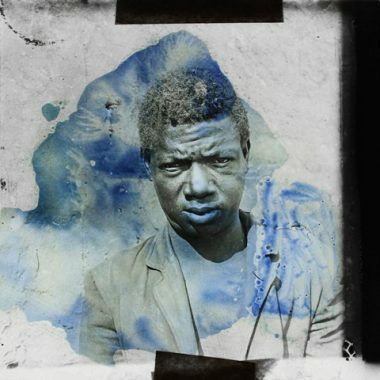 Intermission is a new two-screen projection focused on the gaze of two unknown men whose enigmatic portraits appear on nineteenth century photographic slides found by the artist.